It's an LED PAR 38 with a slim casing–only 2.5 inches thick–that can go almost anywhere. 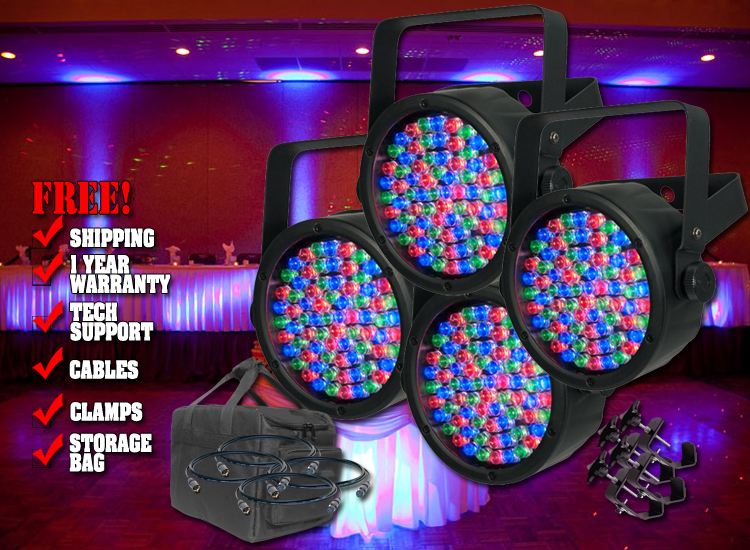 Boasting 75 red, green and blue LEDs, the fixture offers 3- or 7-channel of DMX control. Or you can use its built-in automated and sound-activated programs and variable speed-pulse effect for use on the fly. It also offers static colors and RGB color mixing with or without DMX and built-in power linking for quick set up and break down.